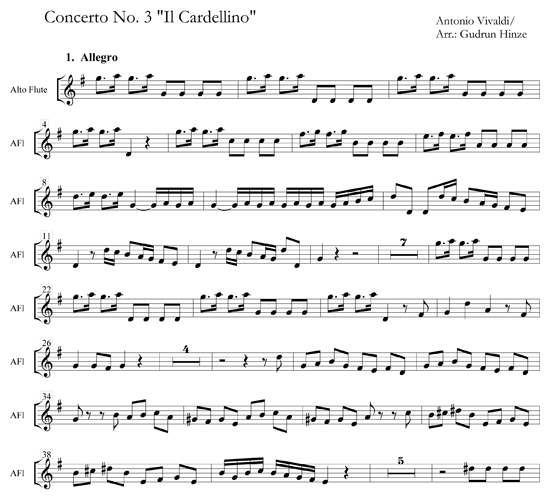 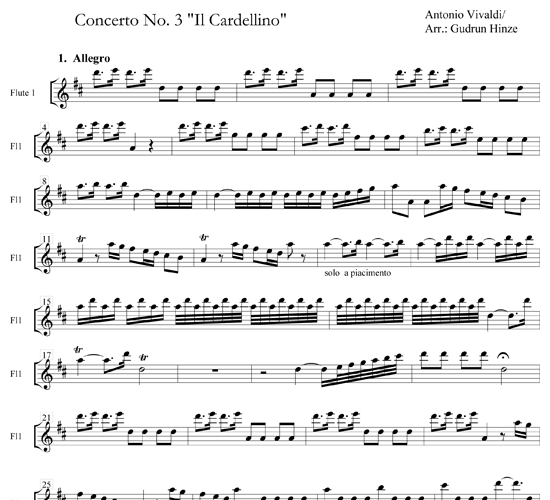 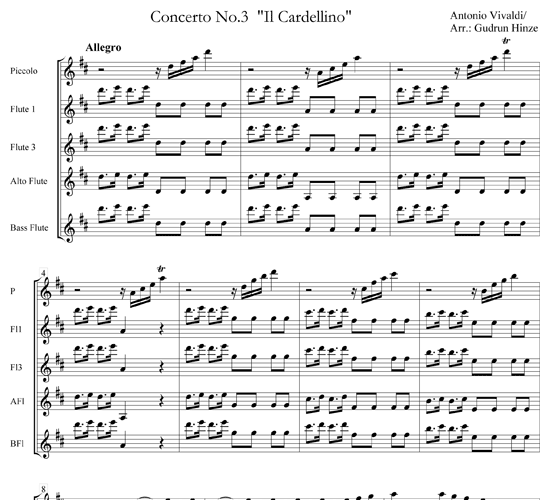 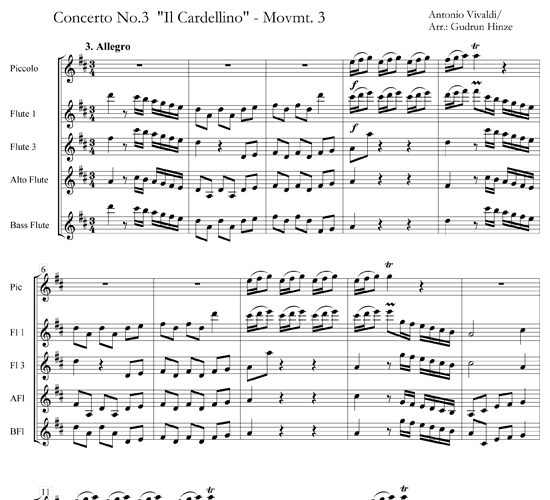 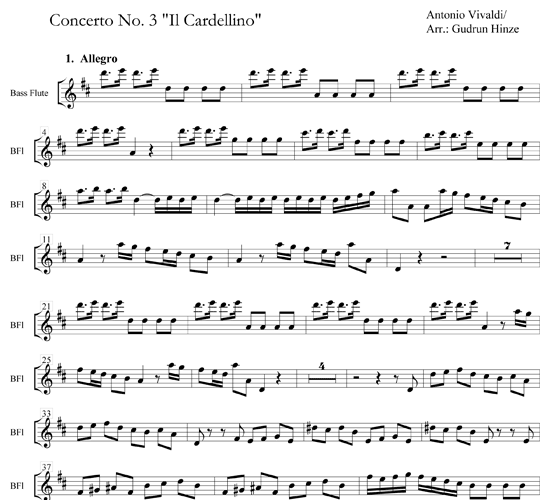 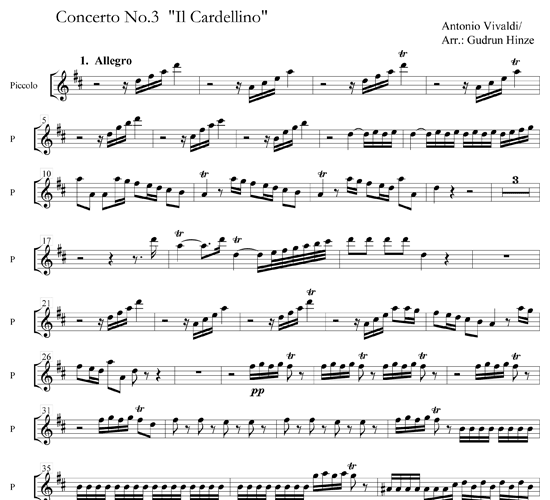 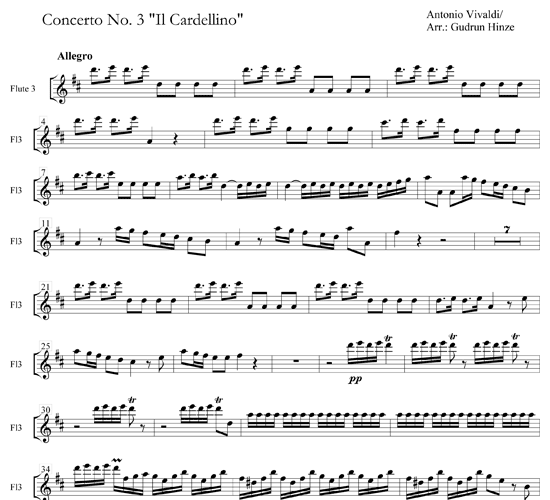 Antonio Vivaldi (1678-1741) wrote several concertos for flute, most of them requiring a highly virtuosic performer. The concerto “Il Cardellino” is inspired by the natural sound of a singing goldfinch. 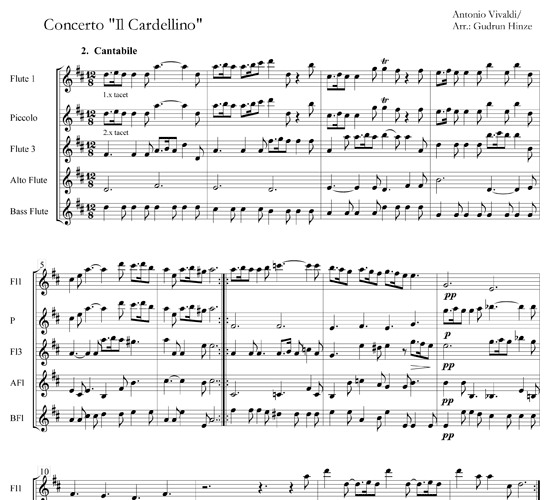 This arrangement provides especially the piccolo player with the opportunity to show his/her technical skills, while the whole ensemble strengthens its performance of baroque phrasing and ornamentation.